RAMBLAS a 46' Hylas 1995 Just Listed and LILLY ROSE a 43' Jeanneau DS 2004 Just Listed! RAMBLAS 49' Hylas 1995. Ramblas was equipped with top quality electronics and equipment and has been continuously maintained to reflect her pedigree. The interior woodworking of these yachts is well known and Ramblas provides a good example of this craftsmanship. The Hylas 46 has the very desirable scoop transom as well as large, easy to care for side decks and a large aft deck with two lazarettes. LILLY ROSE 43' Jeanneau DS 2004. 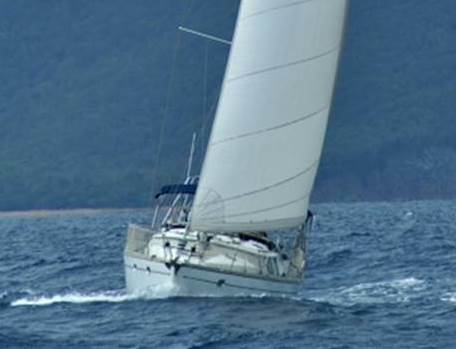 LILLY ROSE has had only two owners, has never been chartered and is meticulously maintained. A personal inspection will confirm her condition. Manufacturer's description: The continued success of the revolutionary concept introduced in the Sun Odyssey 40DS has driven Jeanneau to further its line of " Deck Salon " with a new 43 foot model, again designed by Daniel Andrieu. As innovative as its predecessor, the Sun Odyssey 43DS embraces the concept of bringing bright natural lighting from the roof, and thanks to a fresh and clever design, has a very large aft cabin plus a wide cockpit.